Margaret Heckler was born in Flushing, New York. She received a bachelor's degree from Albertus Magnus College in 1953, and a LL.B. degree in 1956 from Boston College Law School. From 1962 to 1966, she worked on the Massachusetts Governor's Executive Council. 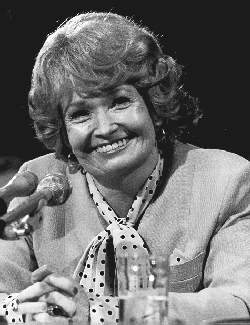 Beginning in 1966, Mrs. Heckler was elected to the U.S. House of Representative, a seat she held until 1983 when she was appointed Secretary of Health and Human Services by President Ronald Reagan. Mrs. Heckler resigned her Cabinet post in 1985 to become U.S. Ambassador to Ireland.